One year ago, in February of 2005, I was told something that greatly troubled me as a Southern Baptist. Over the next several months I received written material that was clear evidence a problem existed within our convention. I have chosen not to make the written information public, but I have recently shared it with people who are in a position to do something about my concerns, and they have agreed to help work toward a solution. However, without going into details, and without naming individuals, I chose to write a post last December 10 entitled Crusading Conservatives vs. Cooperating Conservatives: The War for the Future of the Southern Baptist Convention. In hindsight, I regret some of the word choices in that post. I stand by everything I said, and will never apologize for saying it, but I just wish I would have said it softer. The secular media and others pick out what they want, and rarely pay attention to the context of the words they choose to use. Anyone who has read all my other posts knows I have a love for all my Southern Baptist friends, even those with whom I disagree. I am writing a new post to replace the old one, using words that aren't quite as militant. It says the same thing as the previous post, just a little softer. Again, I regret my choice of words, but I do not apologize for making public my concerns. I believe self-criticism is healthy. "Political Conservatives vs. Cooperating Conservatives: The Struggle for the Future of the Southern Baptist Convention"
I have stood side by side with my fellow conservatives in our convention over the years. When the Cooperative Baptist Fellowship organized in Oklahoma I nailed on the door of their organizational meeting "95 Theses Against the Formation of the CBF," an act which marked me forever as an opponent of the CBF. I consider everyone involved in the CBF a brother or sister in Christ, but I nailed the thesis on the door because I believed if someone is truly an evangelical conservative, then he or she should cooperate with the Southern Baptist Convention and not separate. Otherwise, separation from the SBC because of a denial of the inerrancy of God's word is both appropriate and needed. Dr. Morris Chapman's convention message at the 2004 Indianapolis Convention should be read by every Southern Baptist who is concerned about the future of cooperating conservatives reaching our world for Christ. He is far more eloquent than I, and his words spoke deeply to my own heart. The message may be found in audio and print form at The Fundamentals of Cooperating Conservatives. Dr. Chapman could not have said it better! ..."This Convention deserves to be led by trustees who listen to God’s Spirit on the way to making decisions, not trustees who are susceptible to political agendas. Politics for the sake of control by a few is not how our forefathers envisioned the operations of our Convention. But I must warn you. Politics do not die easily. Do you know why? It is because the death of politics in a spiritual environment only comes after we die to self." I happened across a news article about the SBC situation on the website Freerepublic.com. This is one of my favorite news sites; it is frequented by thousands of people each day. Most people on the site so far seemed interested in arguing the semantics of the situation. I posted a link to the church and your sermon outline as someone else had previously posted a link to your blog. I would seem as though this situation has moved from small blogs to large news sites. FYI, people on Freerepublic.com were responsible for breaking the case regarding President Bush's National Guard service memos during the last election. For many years I kept a distance and have chosen not to be involved with a local body of believers, choosing instead to worship here and there with friends and family while enjoying family and coworkers as my fellowship and "when two or more are gathered in my name." Having joined a church one year ago and slowly becoming involved with a local body once again, I still have kept an emotional distance from the operatings of the church concentrating on getting to know different people in the church and beginning to enjoy corporate worship with a church family again. Wade, THANK YOU, for your blog and your stand. Your candor and clarity in revealing some of the inner workings of our denomination has renewed my passion and interest in being a part of this body of believers. Thank you for your heart, thank you for your wisdom, thank you for your passion, thank you for your humor. I know from personal experience your actions back your words both in principle and the spirit of love that is evident in these blogs. You have ALWAYS stepped forward in times of need - my family being the recipient of that several times. Thank you for doing the same with our denominational family. Those who come behind you will find you faithful. May they say the same about me. Knowing your other sister has committed to praying for you and your family daily, I have joined her in that. Thanks for graceful stand for those of us who have been silent for too long. I can't keep quiet anymore. There are a lot of us younger leaders who are conservative, but we are tired or being pushed around and told everything is for our good. When do we get a voice? I continue to be convinced that the Lord is using your witness concerning these issues for the good of the SBC and the Christian Church as a whole. I continue to ask His richest blessings on you and this cause to His glory and praise. 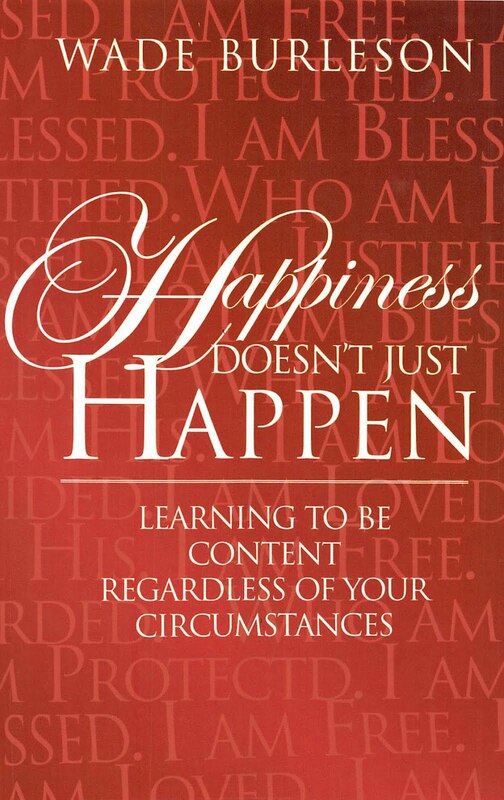 Tom, I owe you an autographed copy of my book "Happiness Doesn't Just Happen" for your wonderful defense of me on BaptistLife. Email me your address and I'll send it ASAP. KDawg, it is vital that you and others be present in Greensboro. The SBC needs your involvement. You wrote, "I believe, as did Spurgeon, there is a time to draw a line in the sand for the cause of Christ." Wade, that line in the sand was drawn by the SBC long ago, when y'all purged the ranks of "liberal" pastors and members...and it wasn't for the "cause of Christ," it was for pure human power. When you and your fellow Pharisees took harsh and condemning stands against anyone who didn't toe the conservative line, my wife and I and our sons left the SBC church in Tampa, and we'll never return as long as the "whited sepulchres" reign supreme in the SBC. Live by the sword, die by the sword. You have no one to blame but yourself, Wade. You joined the Brown-shirts, helping them chase away all of us who didn't buy into every doctrinal word issued from on high...and now they're coming after you, and we're not there to help you. You made your bed, Wade. Lie in it. Wow! I wonder what it means about your impact when people start calling you a Nazi? I will be in Greensboro and look forward to meeting you! White sepulchres..brown shirts..pharasees? Such vehement ranting is hardly constructive. Many of the people who have posted comments at this website over the past 2 or 3 months have no remaining happy emotional connection to the SBC as a denomination, though they continue to attend churches affiliated with the SBC. In their hearts if not with their feet, because of the political--let's be honest: not spiritual--dealings of the convention's leaders and majority of messengers during the past 27 years, they have given up on the SBC and feeling that it best represents the truths they themselves also understand from the Scriptures. It appears that none of the people this paragraph describes above should allow themselves now to believe that when the current matter of discussion is resolved--if it ever is--the SBC will be changed enough for them to call it "my convention" again. The SBC will continue to be a fundamentalist Baptist convention after its June 2006 annual meeting, no matter what is decided about IMB policies and its trustees. Plain and simple. 7. The current situation regarding the IMB only is representative of the reality of #'s 1-6 above, and the outcome, I predict, will be an increasingly fundamentalist convention; before it is done, Wade also will feel the need to cooperate with other evangelical believers, his words to the contrary notwithstanding. The solution is so simple: everyone, permit everyone else the freedom to choose one version of the Baptist Faith & Message statement (from any year) as a representation of his or her personal theological persuasion, and begin cooperating for the sake of the world dying around us. Baptists who have left the SBC--either actually or in their hearts--could come back to a convention like that. 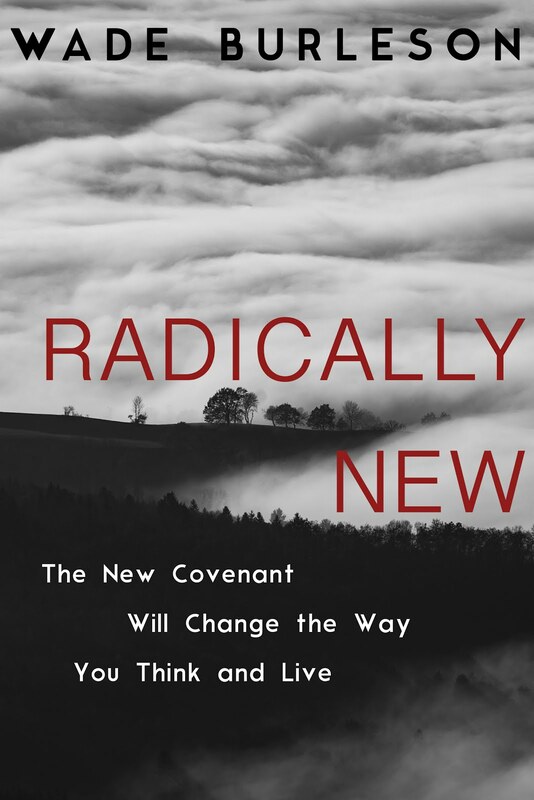 If this is not done, however, the SBC only will have shown itself as standing in need of both revival and intelligence. Best wishes for you, brothers and sisters in the Lord. Some wisdom on speaking publicly as a trustee. In my research for this little booklet I'm writing, I ran across some information about B.H. Carroll. I think he's a name with which you may be familiar. When the Whitsett Controversy broke out at SBTS. Carroll was a trustee. He disagreed with Whitsett privately but did not voice his concerns. Only when pressed by his TX constituents did he speak out. He asked the trustees to review Whitsett's thesis at the Wilmington Convention of 1897. The board, probably knowing a majority of the faculty believed (as they later stated they did) Whitsett's thesis about Baptist origins, glossed over the controversy. Now, at this time Baptist the Baptist successionist thesis was very popular, not just among Landmarks but among many rank and file Baptists. The controversy proved divisive within the Convention. Fearing that the controversy would threaten Convention unity and result in schism, Carroll spoke out against Whitsett's thesis, believing he should be reprimanded or resign in the name of unity. Because the board had been unresponsive to him, he went public to the Convention with his opposition. Within a year, Whitsett left SBTS, and Carroll became known as the one who led the anti-Whitsett party. ==Notice, he did this to keep the unity in the Convention. He went public to the whole Convention as a trustee . when his fellow trustees were non-responsive. This was a matter of principle. It wasn't about his opposition to the thesis (for Carroll was subscribed personally to Baptist successionist historical theory), but about solidarity within the Convention. During the Hayden controversy, Carroll opposed Landmarkers like Hayden and Crawford, seeing their ideas as seriously undermining missions. Again, he was public in his calls for unity around missions. We all know how that one turned out. So, consider, Wade, you aren't the first sitting SBC trustee to "go public" because a board has been non-responsive. In your case, they have over-reacted. At the turn of last century, they didn't consider Carroll's move worthy of removal or cry foul. How things have changed indeed. Like Carroll, your concern is clearly for missions and for solidarity in this Convention. This will go down as another historical event. May you be remembered as another Carroll. Former M and Charles, I can't post your comments. I appreciate what you say, but I am attempting not to allow my blog to be a personal attack on anyone. Dissent is fine, but acrimony is not. I hope you understand. I wonder if a better term than "political conservatives" might be "activist conservatives." I say that because the rest of the conservatives have sat back and watched as activists have acted to have influence the convention where they had particular concerns. Every year the activitist conservatives nominate the candidate for president of their choice while the rest nominate no one. Every year apparently they work to influence the nominating process while others. (In some digging I found an article in the November/December SBC Life entitled, SBC Committee on "Nominations Begins its Work — Here's What You Can Do" In retrospect Morris Chapman clearly was alerting the convention to its responsiblity and opporutnity to take part in the process. I wonder if anyone noticed or acted other than the activits and bothered to submit any names at all. I guess my point is that while some might be somewhat upset that a more narrow group has gained influence in some places (not every place) is it not their own fault? The activist leaders are leading because no one else who has the trust of the conventin is. This problem will not be solved through complaining, bylaw changes or motions from the floor but by the convention at large becoming more involved in the nominating and election process. Jim Henry showed us that there are more with you than against you. The masses now have a reason to get more involved. This whole discussion is creating very curious bedfellows (In the best sense of the term). Because of that it is easy to see that carefully chosen mainstream candidate would easily win the presidency year after year setting a tone for a more conciliatory climate within our convention. What is needed at this point are leaders who have the trust of the masses. I will never figure out how so many people can characterize getting out-voted as being the victims of a "take-over." It's simple, really: if you want your views--whether they be on scriptural inerrancy, cessationism, whatever,--reflected in official SBC policy on any board, ultimately you have to have a majority of the messengers who vote at the Convention on your side. If you fail in persuading people to vote with you, it may be a tragedy or it may a triumph, but a "take-over" it ain't, from any perspective, and certainly doesn't merit talk of brown-shirts. Hitler's brown-shirts used physical force and intimidation. Getting out-voted just ain't in the same category. Thank you for the information and food for thought. I am not surprised at the activity of political conservatives or liberals. Cooperation doesn't exist in an atmosphere of suspicion and power plays for control. It is my prayer that this situation will be resolved quickly for the sake of our Convention and missionaries. I appreciate your comments and agree totally. I'm the son of a Southern Baptist who is the son of a Southern Baptist, who took a covered wagon from Kansas to Oklahoma and homesteaded during the early part of the 1900s. I also graduated from Baylor and Southwestern Seminary. And, I'm no longer Southern Baptist and happy not to be! The reason I'm so glad not to be is for the very reason you are articulating. Unfortunately, I agree with previous posts in that I think the wheels were set in motion for this during the 'convervative takeover' of the late 70's and early 80's. I've sat in meetings with Paul Pressler as he recruited young Baylor students to join in the fight. It was clearly a political move couched in inerrantist language. I've watched up close how things have devolved over the last three decades. Unfortunately, I don't think this will stop any time soon. I believe the SBC will split up and die before this will be taken care of. In the early 1990s, a friend of mine who is a historian predicted that state conventions would begin to leave the SBC and start to go their own way. He predicted that this would eventally result in a severly fractured and essentially dead convention. So far, he's been right on the money. And (unfortuantely), I think he's going to be right about all of this in the end. It saddens me to see this happen, but I think it is inevitable due to the root of sin that was planted many years ago. Sorry that came across as acrimony. That was not my intent. When one states that something is "usually ungodly," I take that as meaning that there are times when it IS ungodly. The tactics used against "liberals" over the last 30 years were very often ungodly. It is not time to stop them now, it was time to do that 30 years ago. No need to post this or my previous comment. Just understand that I don't accept Chapman's words to the depth that you seem to. I have lost trust due to the way I have seen people treated and felt the brunt of it myself. Christians behave like Christ. This is discipleship. Theology and doctrine are wonderful, but they must be applied to life or they are empty words of no merit. My 2 cents worth. BTW, thanks for allowing me a chance to gets a few things off my chest. I wish the missionaries still on the field had the same opportunity. I believe Dan Paden missed the point of a writer who stated there was a take-over of the SBC. Dan said being out-voted was not a take-over. Dan said Hitler’s brown-shirts used physical force and intimidation. We agree that Hitler did a take-over of Germany. We agree that he won by his opponents being out-voted. Dan is right that out-voted is not a take-over, but the way votes are obtained determines a take-over. If votes are obtained by truth, that is the Christian way, but if they are obtained by untruth that is a take-over. Its all been said before so I won’t repeat it…trying to be friends. To see a really different prophecy piece, type in "Pretrib Rapture Diehards" on Google or Yahoo. The author of it, BTW, had had many top scholars endorse his research of several decades (type in "Scholars Weigh My Research"). Thanks for your good blog. I just found out about what was going on at IMB. It is really ashame. Wade, I hope that you can live through this with everything you hold dear intact. Those guys coming after you...won't be pretty. Good luck. Oh, and so you know. I'm a young pastor of an SBC church in Texas. I self-idetnify as a "moderate" in circles that care about the distinction. What our baptist fore-fathers did 20-30 years ago saddens me. I may hope that the SBC won't fall into irrelevance, but I won't be suprised if it does. mirror their thoughts and actions- as if they had a special line directly to God..and only they were right? 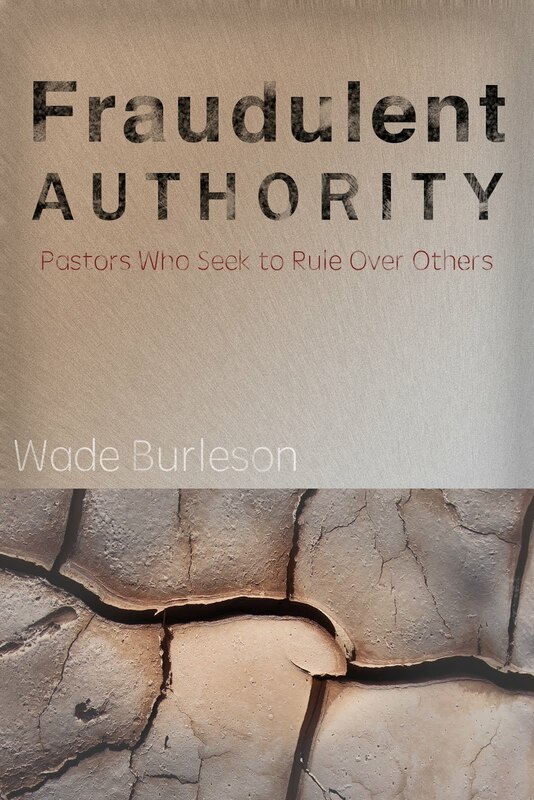 Arrogance and unlimited use of authority do not match with the picture Christ left and Paul amplified of the servant pastor, the slave of Christ. When those actions were taken in such a way and hurt so many fine people, it was set in motion the destruction of our Convention as a body of Christ. The only way to turn the tables is for the leadership, the trustees who are feeling so powerful to repent, to put aside their pride and arrogance, and crawl on their faces before God. There is no place for ego and machinations before God Almighty. I am a lay person, but one who can think for herself, who has become increasingly distressed as events have unfolded during the last 30 or 40 years. God help us all. I love my church, but I am embarassed at the kind of attention our leadership gets in the world news. We are an embarassment to God. That God would be willing to give us all another chance would be more mercy than we deserve, but that is what I pray for; I also pray for a deep spiritual awakening among both our ministers and the laity. Let us be united in purpose - to represent Christ on earth; and let us put away pride and self serving.